The prospect of compulsory vaccination should trouble people even if they think the practice can be defended in principle as a kind of self-defense. The burgeoning women’s liberation movement of the 1960s emphasized a theme with a prominent American pedigree, powerfully expressed by John Locke, who helped to inspire the Declaration of Independence: the right to own your own body is the most basic of all rights. Proponents of voluntary vaccination stress this right. Proponents of compulsory vaccination want the government to vaccinate their neighbors. Implementing a large-scale state program of mandatory vaccination would dramatically increase the level of government intrusion in people’s lives. Like the “war on drugs,” such a program would feature incentives for extensive government monitoring. Pediatricians would confront new reporting requirements. Home-schooling parents would be monitored for compliance. New levels of intrusion would spawn new secondary crimes, as people were punished not only for failing to comply with vaccination mandates but also for failing to provide information needed to implement these mandates. Government agencies would demand new surveillance powers and technologies. Those with state power would find it hard to resist the temptation to seek more—more power, more budget dollars. While federal regulation of mandatory vaccines might reduce some dangers, manufacturers’ incentives to keep risks at appropriate levels would be dampened by “regulatory capture.” Those who regulate key industries are usually drawn from those industries’ top executives. And even when regulators come from outside, regulatory agencies typically depend on the regulated industries for information about products, standards of care, and so forth. The kind of regulation we could expect doesn’t inspire confidence, especially where population wide mandates are concerned. We could be confident, for instance, that pre-release safety review of vaccines, like those of drugs, would continue to be designed to satisfy regulators rather than to survive exposure during litigation. And where there are billions of dollars to be made, out-and-out fraud is hardly unlikely. Government bureaucracies predictably seek to expand their own power. Business-government partnerships work to enrich well-connected businesses and their politician allies at the public expense. A mandatory vaccination program could be expected to increase government power and force ordinary people to pay more to influential corporations. 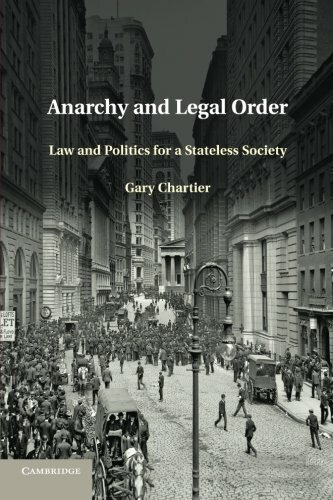 Gary Chartier [send him mail] is professor of law and business ethics at La Sierra University in Riverside, California. 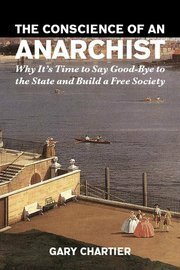 He is the author, among many other books, of The Conscience of an Anarchist.